I have created an exercise that is called “5 S for Culture Change”. 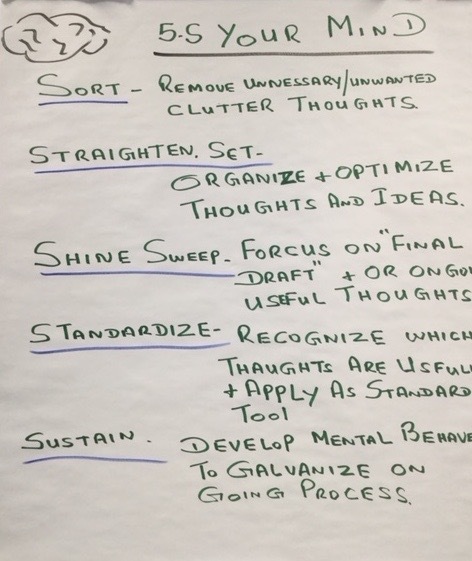 This simply means that the “5 S” (Sort, Set in Order, Shine, Standardize and Sustain) are applied to people instead of workplace organization. This is just one of my creative ways to bring people’s attention to people. 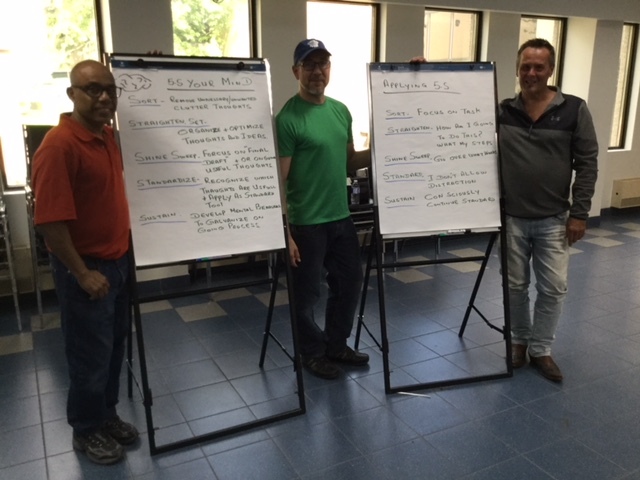 Every time I facilitate a workshop I learn something from the participants. Today I would like to thank Milan, Ruban and Jeff because they brought this exercise to a whole new level. They started to think about how to “5S Your Mind”. Then they continued on a second flip chart and started the application process with the word “concentrate”. The group explained that you could apply this to any other word that needs more of your attention. 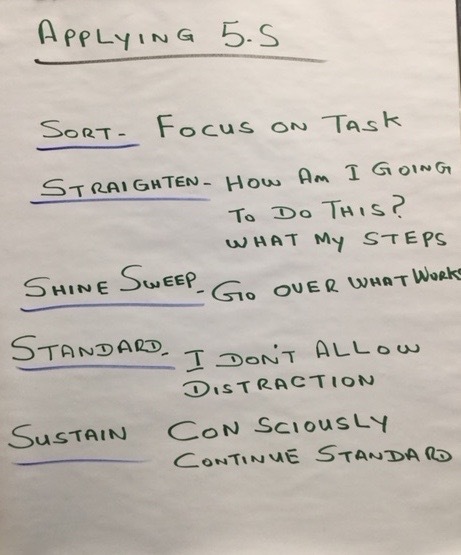 Let’s take a look at the Standard on the Application Flip Chart. I always suggest to find a positive way of saying this. So what could be a different way of saying “I don’t allow distraction”? Maybe “I set guidelines to work in a distraction-free zone “. How can you make “distraction-free” a reality? This was a 20 minute exercise and it just gets to show how creative people can become. Thanks again to Milan, Ruban and Jeff for being so creative! “5S Your Mind” could become an awesome way to create a mental strategy. As long as you’re intentional anything is possible.